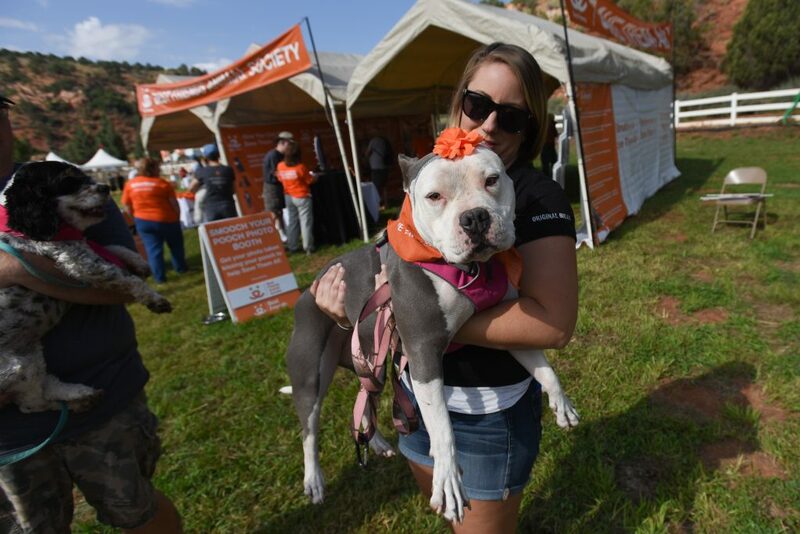 KANAB — People and dogs came together at Best Friends Animal Society’s sanctuary Sept. 16 to participate in Best Friends’ “Strut Your Mutt,” which brought together people and animals to raise money to save the lives of homeless pets. The event in Kanab was one of 14 nationwide. Participating animal welfare rescues and groups came from Southern Utah, Northern Arizona and Las Vegas, and raised more than $36,000; fundraising for all groups is continuing through Oct. 31 to reach the collective goal of $50,000. The top fundraising group was PAL of Las Vegas, followed by Page Animal Adoption Agency of Page, Ariz.
Each year, hundreds of partnering organizations participate in Strut Your Mutt nationwide to raise money needed to save lives in their own communities. Together in 2016, these groups raised more than $2.6 million — nearly $1.9 million of which went straight to 294 participating groups. For many partners, the funds raised during Strut Your Mutt make up a good portion of their funding for the entire year. Every day in America’s shelters, nearly 5,500 dogs and cats are killed simply because they don’t have safe places to call home. The goal is to reduce that number to zero. Best Friends’ Strut Your Mutt, Kanab is an important event every year to help shelters save animals’ lives.